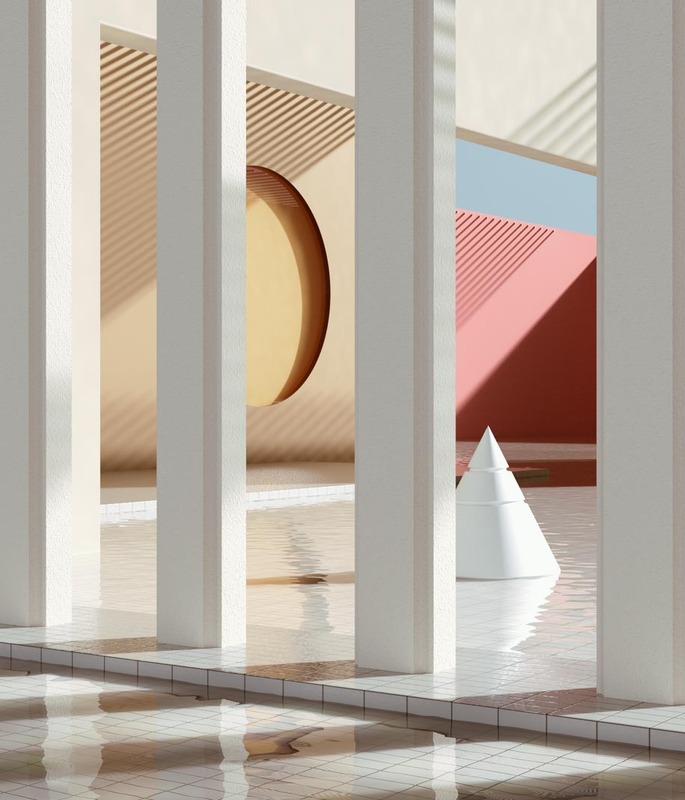 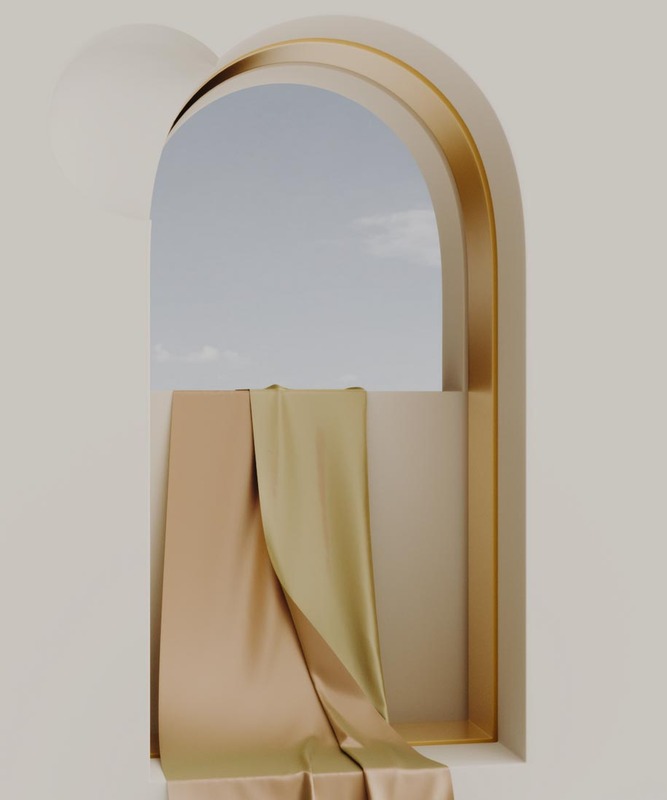 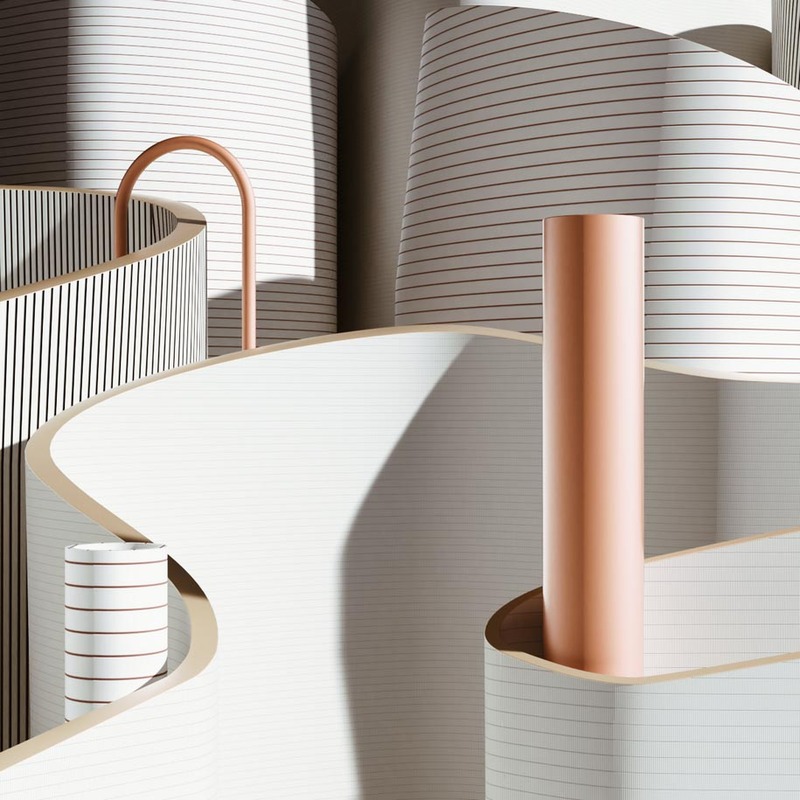 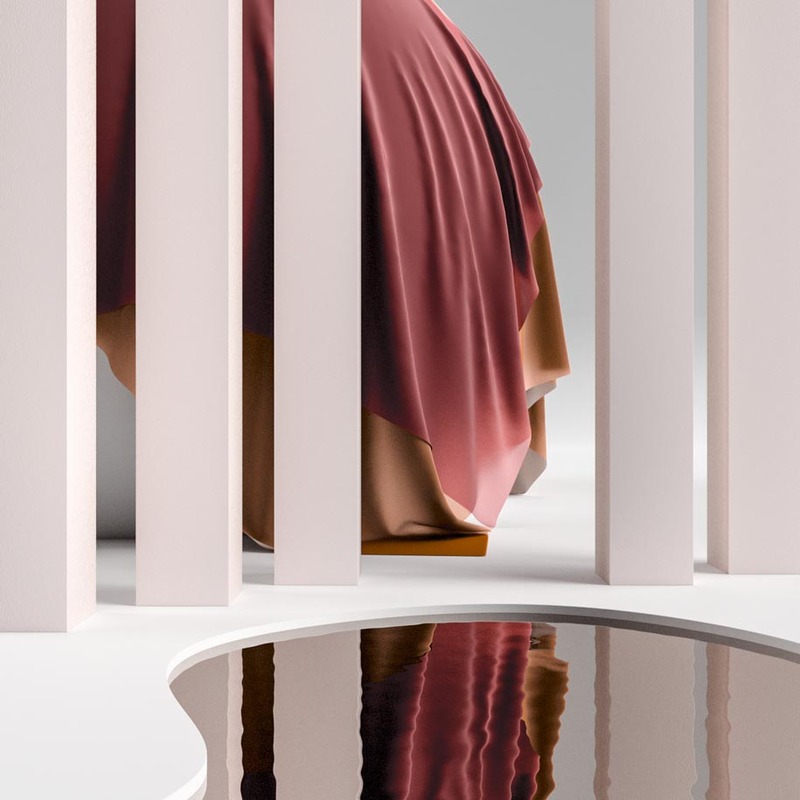 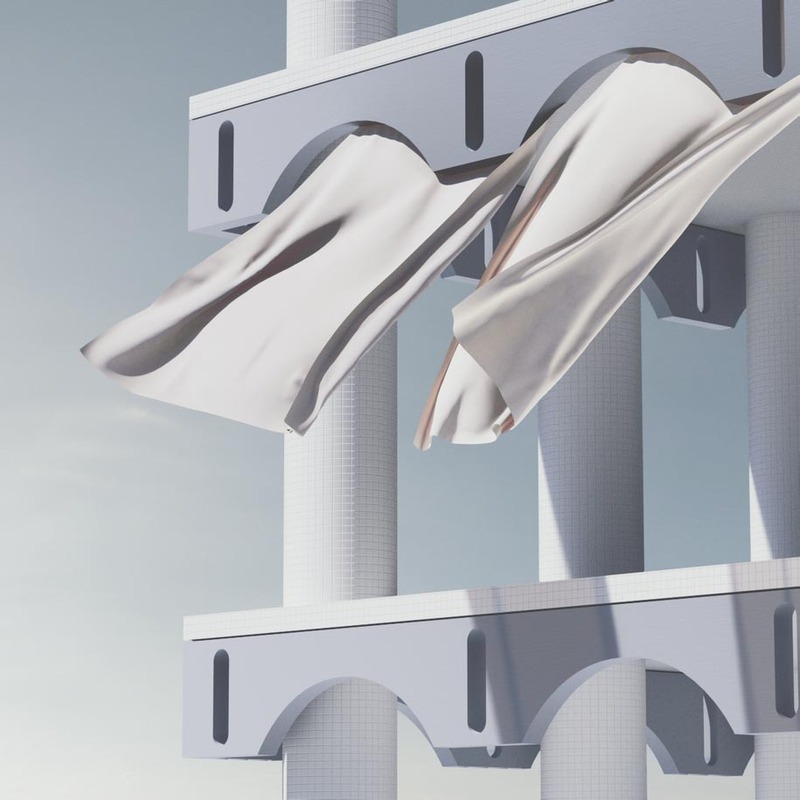 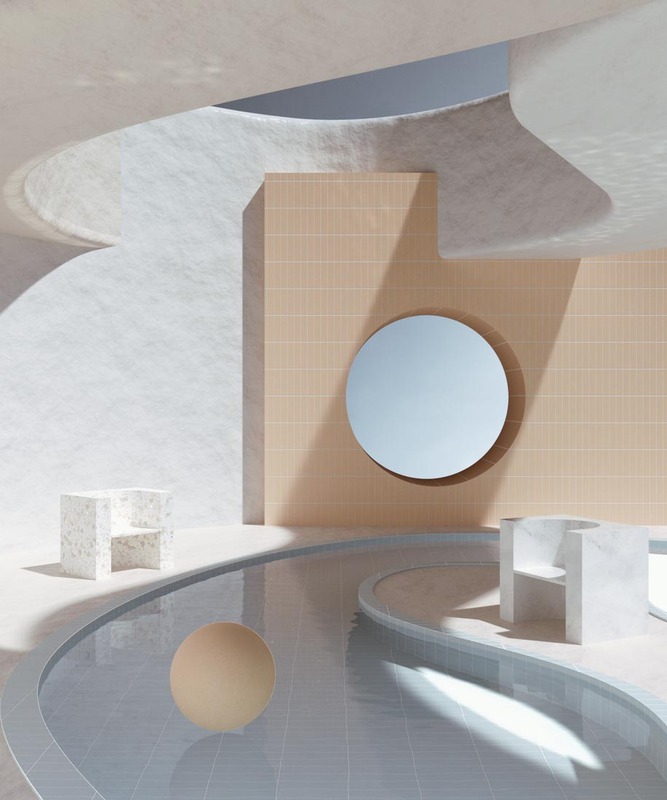 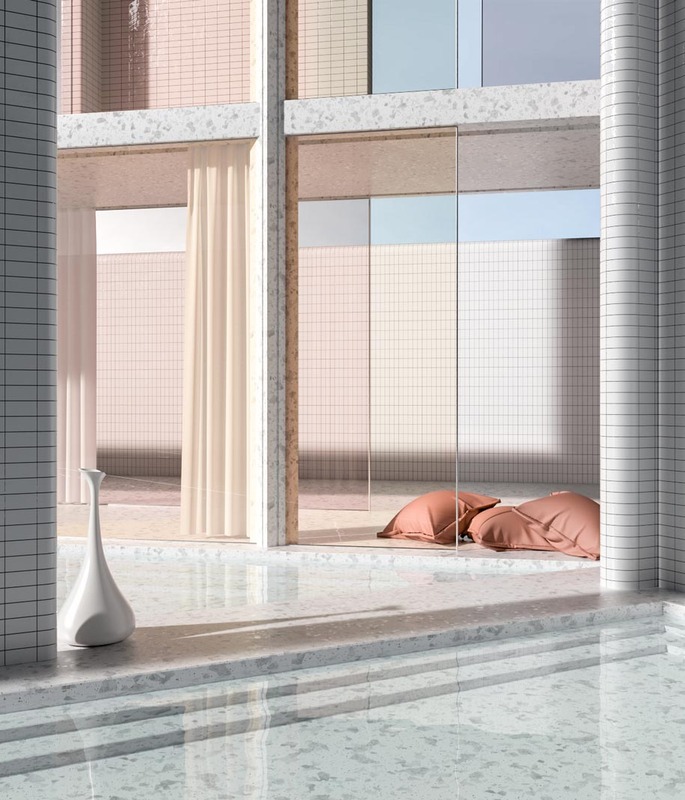 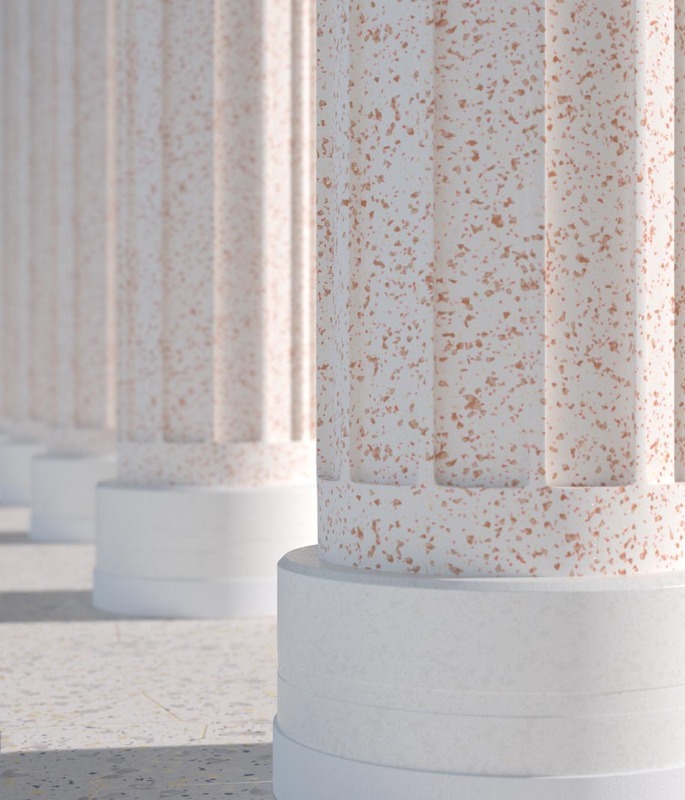 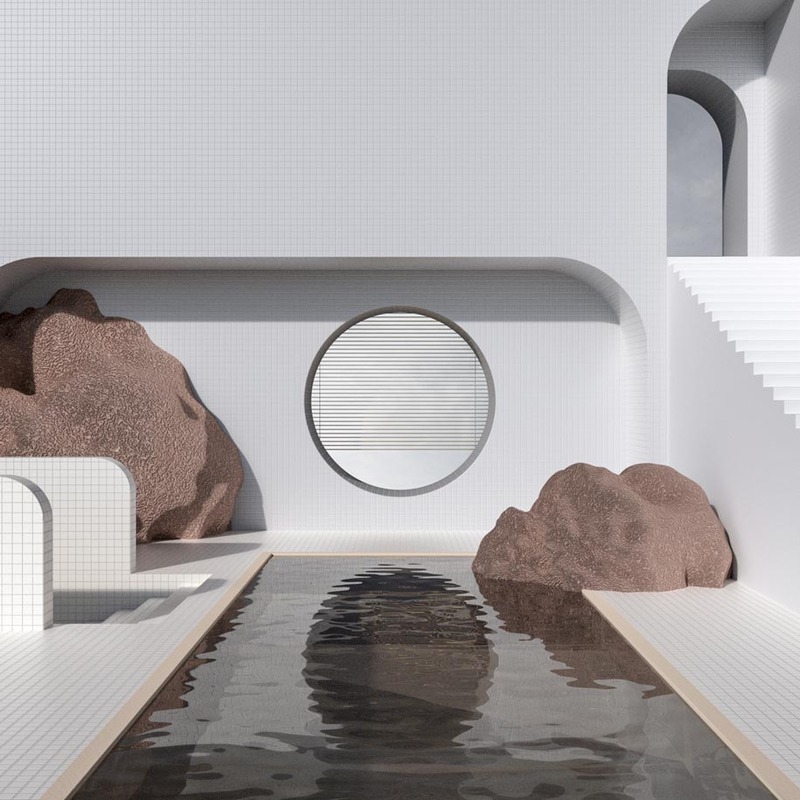 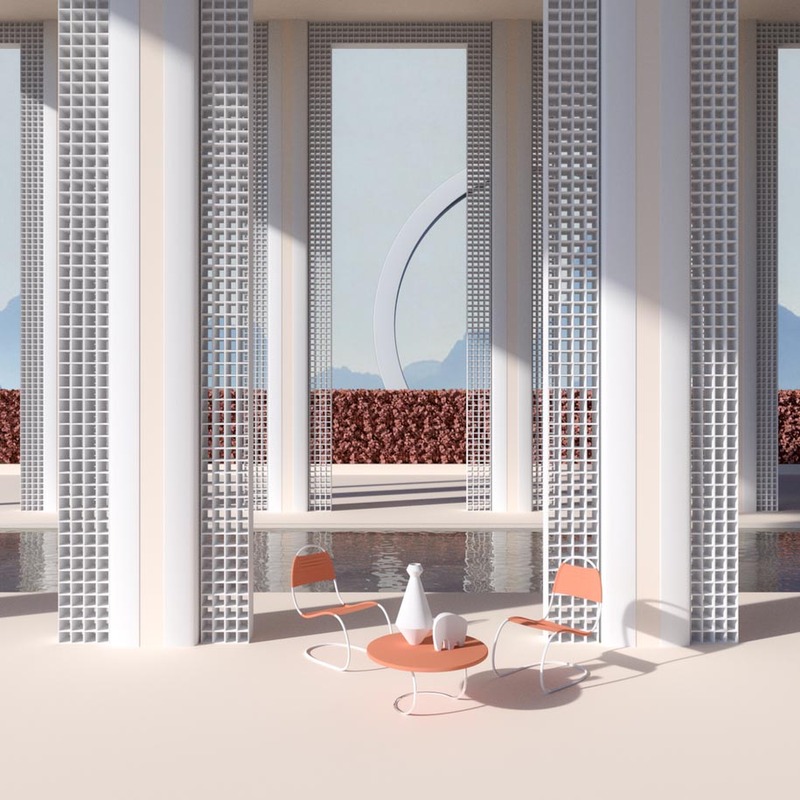 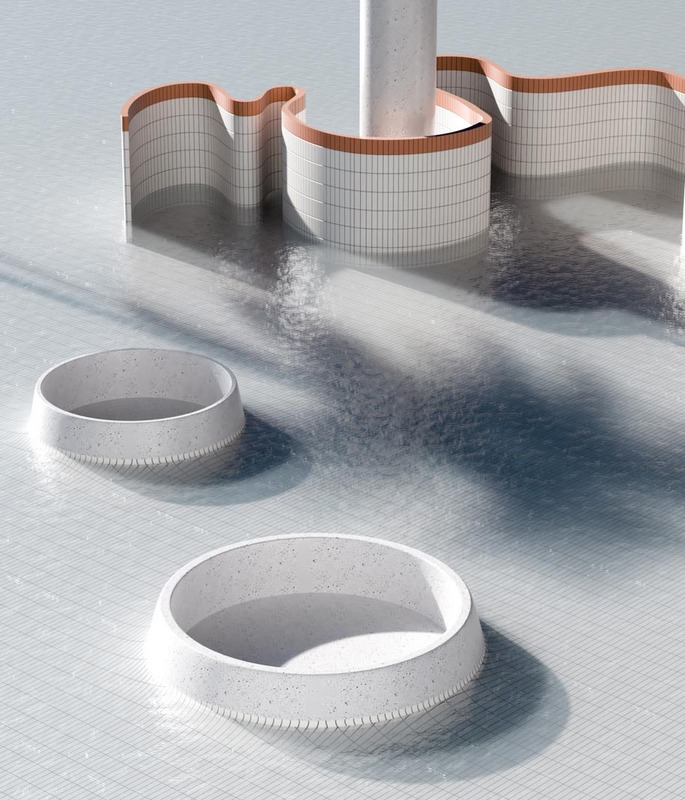 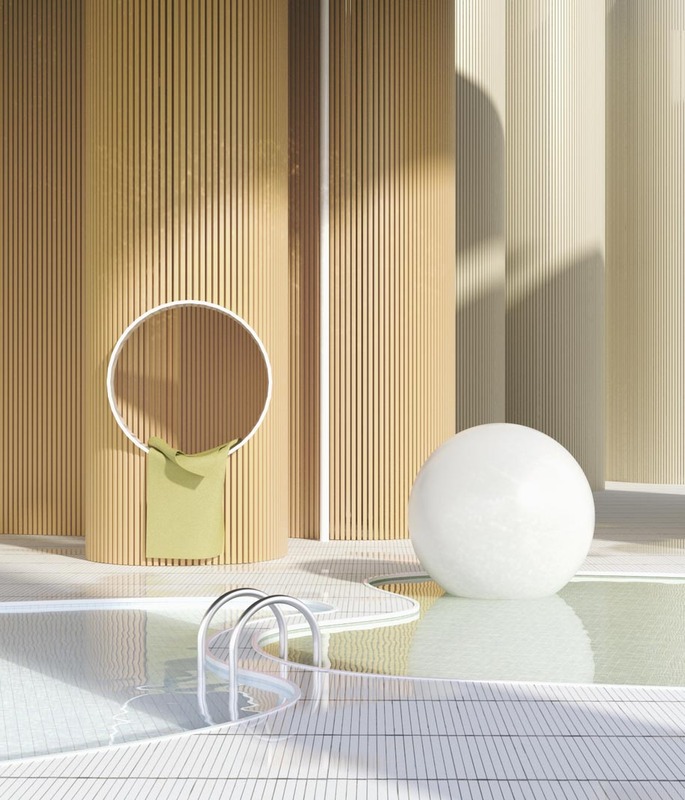 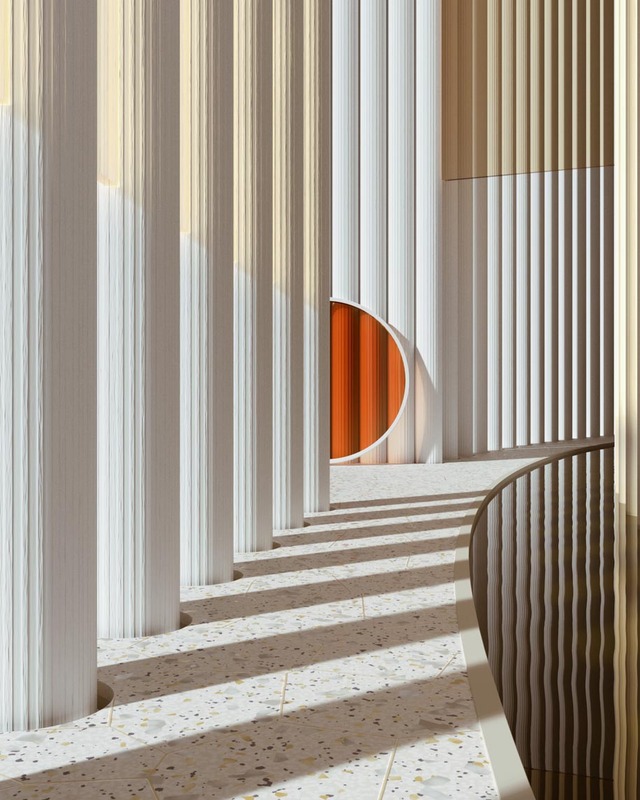 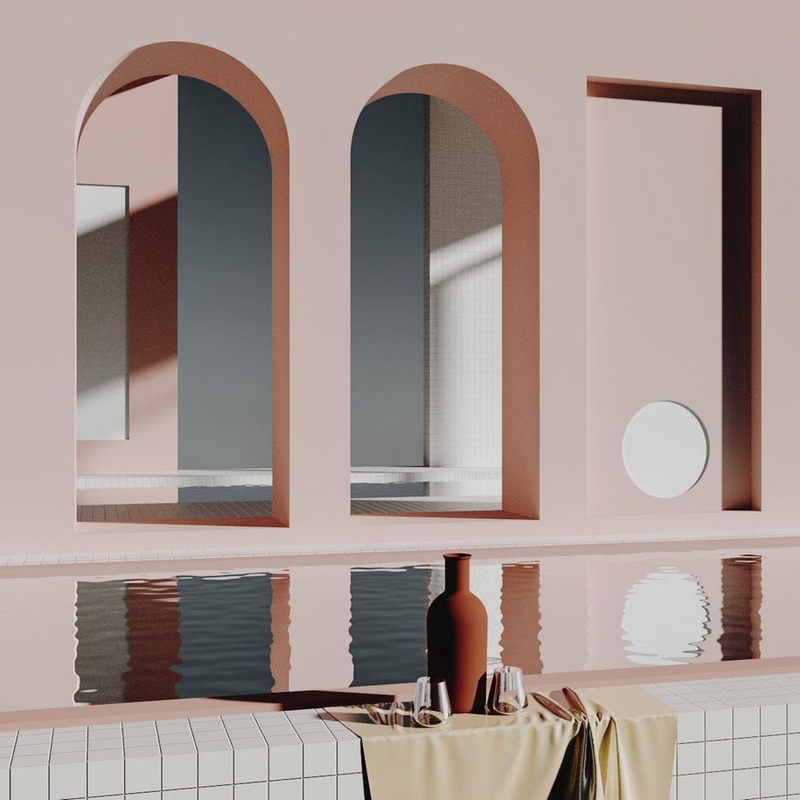 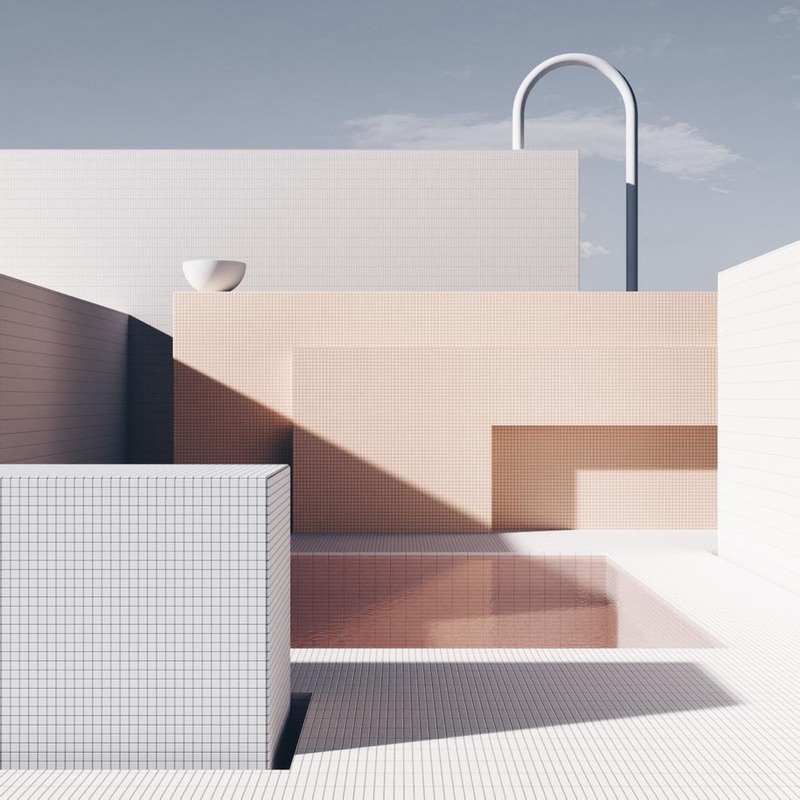 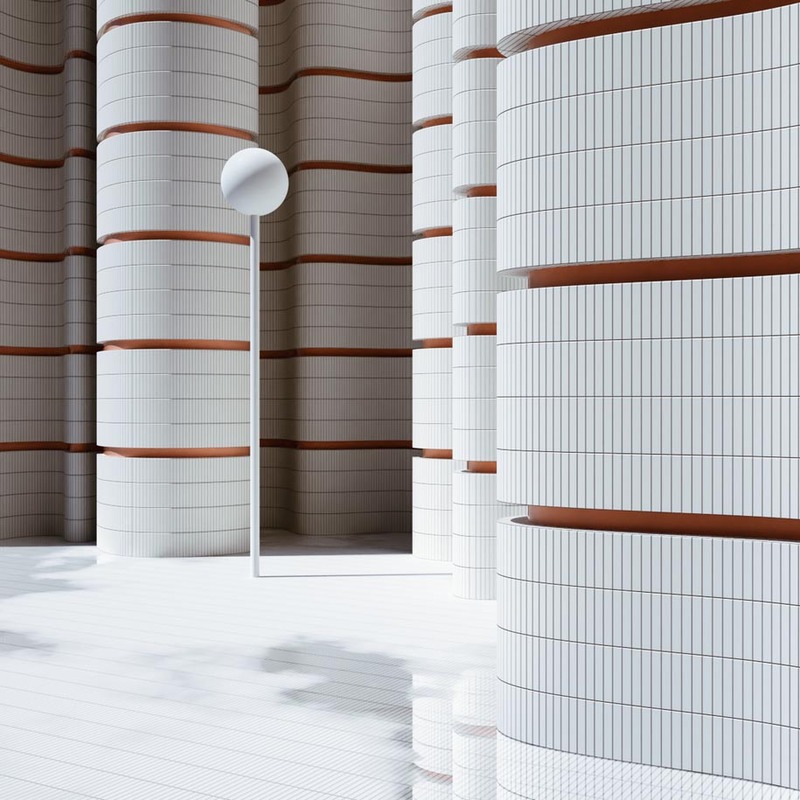 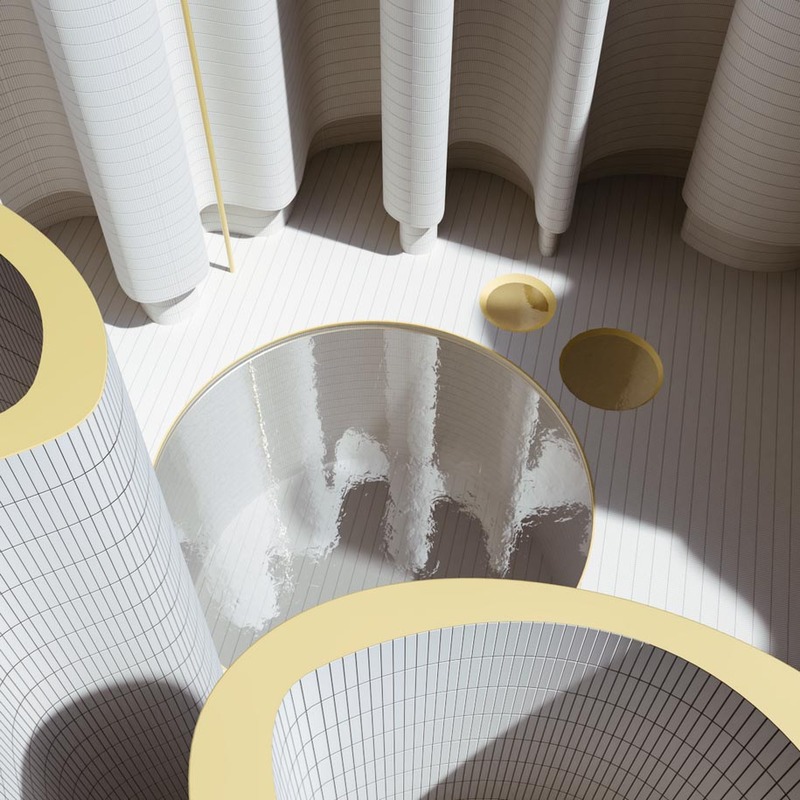 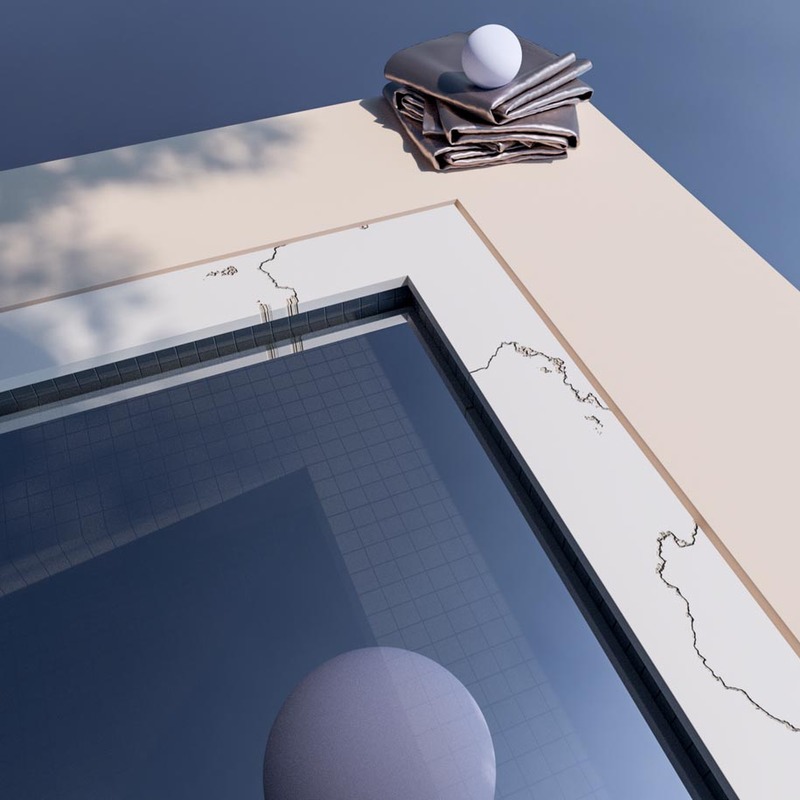 Alexis Christodoulou, a self-taught 3D artist living in Cape Town, South Africa has spent the last 6 years building a collection of works focusing on imaginary architecture. 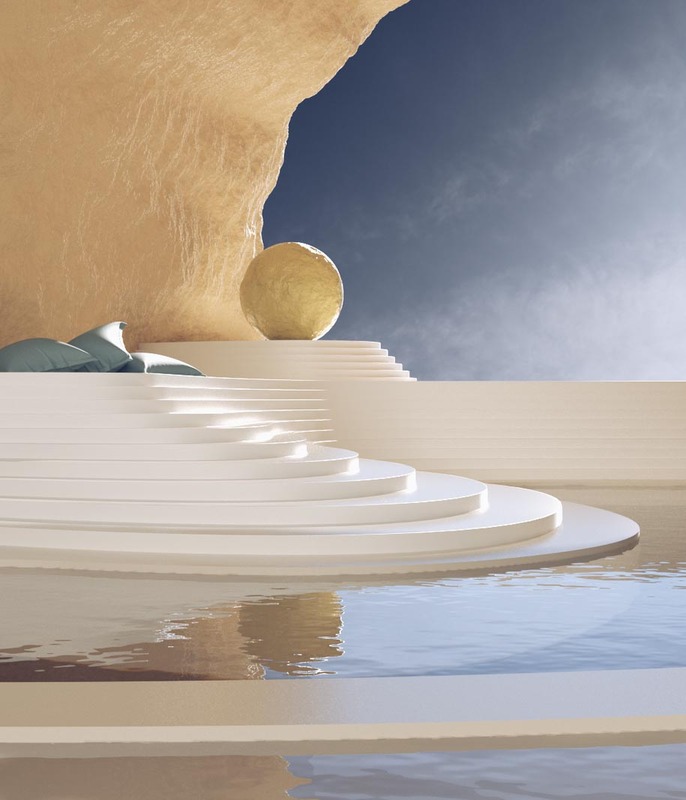 While working professionally as a copywriter for the last decade, Alexis taught himself 3D rendering as a hobby. 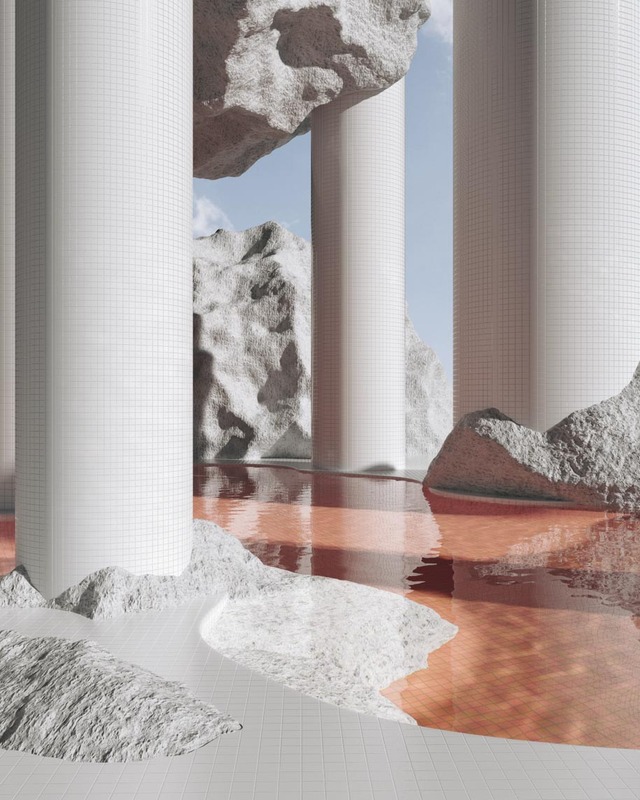 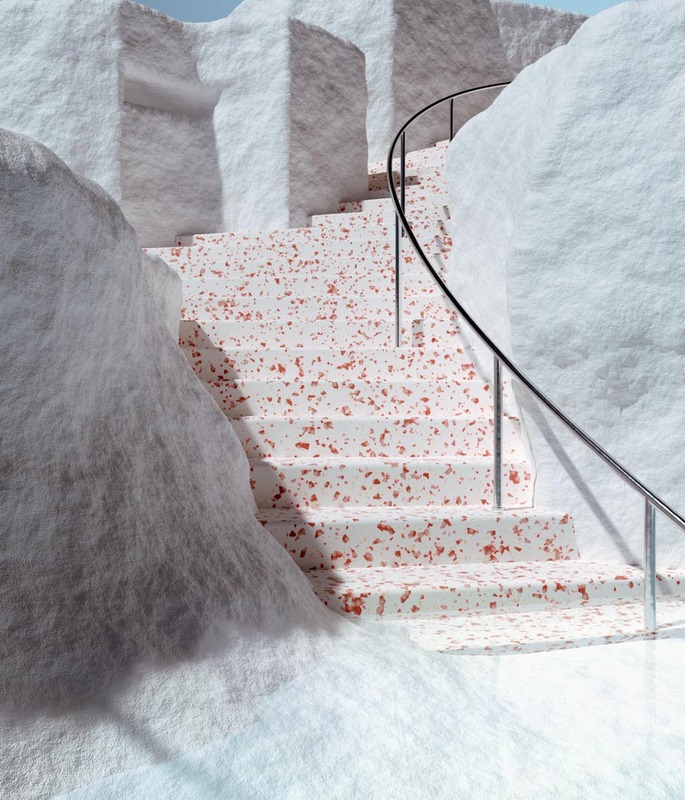 From a lifelong fascination of digital worlds and 3D graphics from playing video games a boy, Alexis became frustrated with the lack of modern aesthetics represented therein. 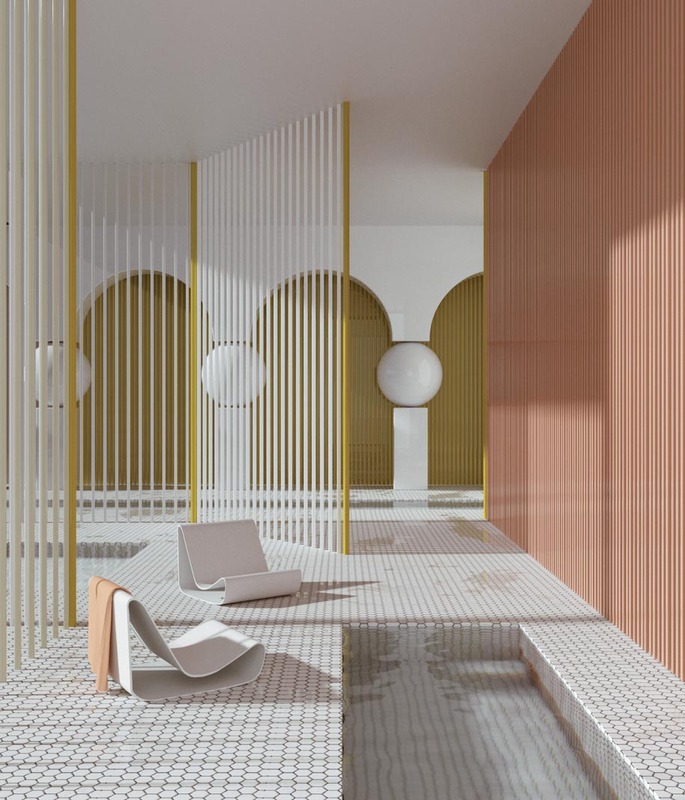 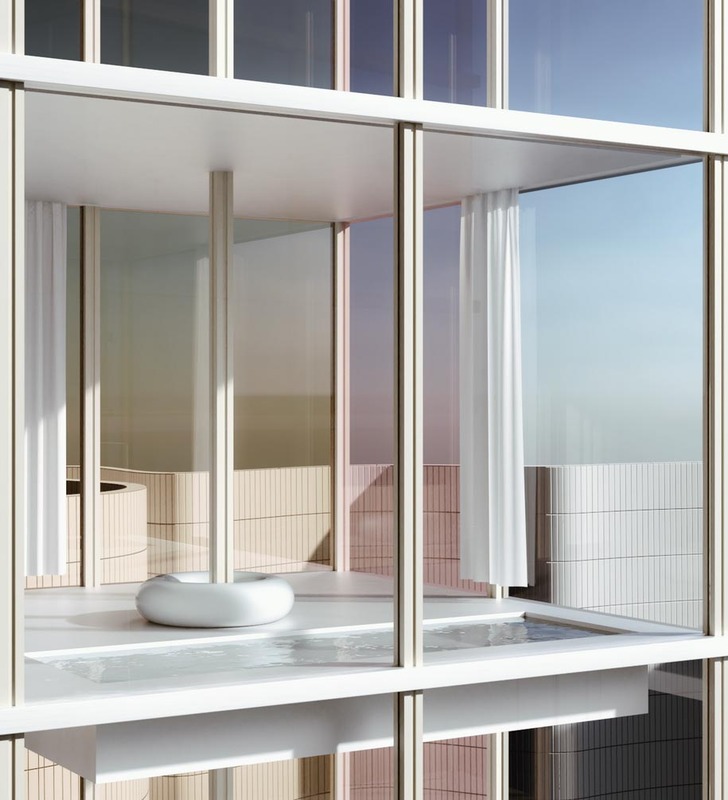 The images Alex creates are a simple extension of this desire to see fantastic spaces come to life that echo a more modern and clean aesthetic. 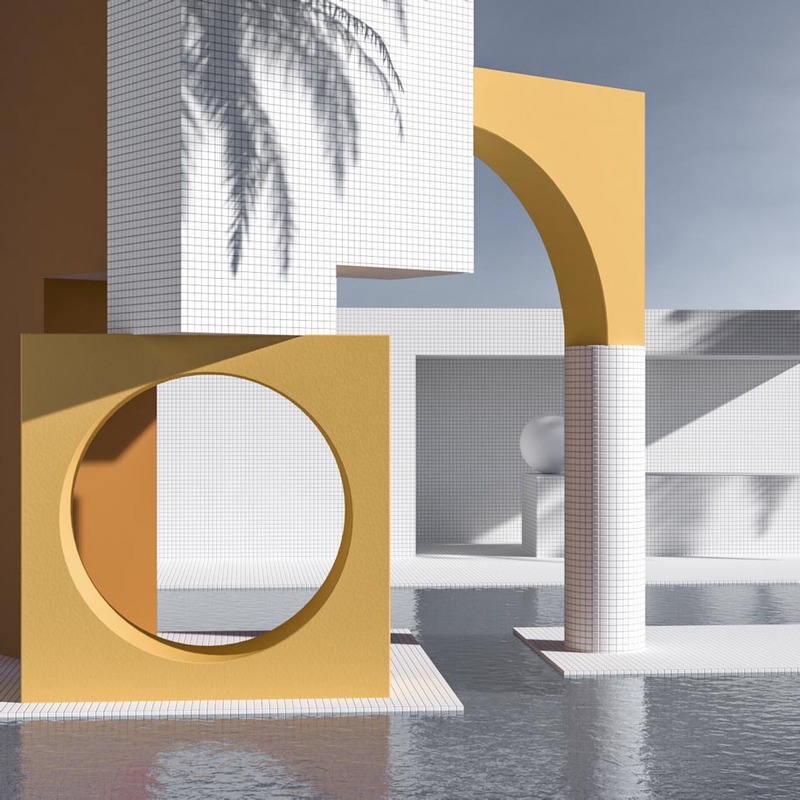 When asked what inspires him, he states: “It’s a simple process usually beginning with a sketch of a space extending out in front, either inspired by a building in Cape Town or taking some inspiration from modern architecture. 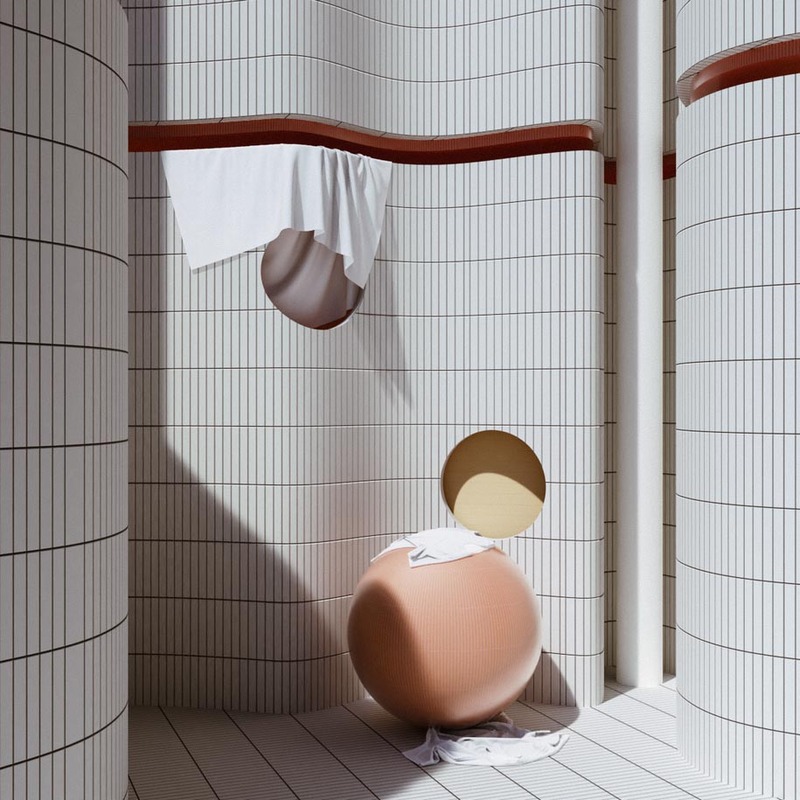 For now, the scenes are devoid of human life, preferring the viewer to imagine how they would exist in the space, sometimes leaving a small clue as to a past presence but never leading you down any specificnarrative. 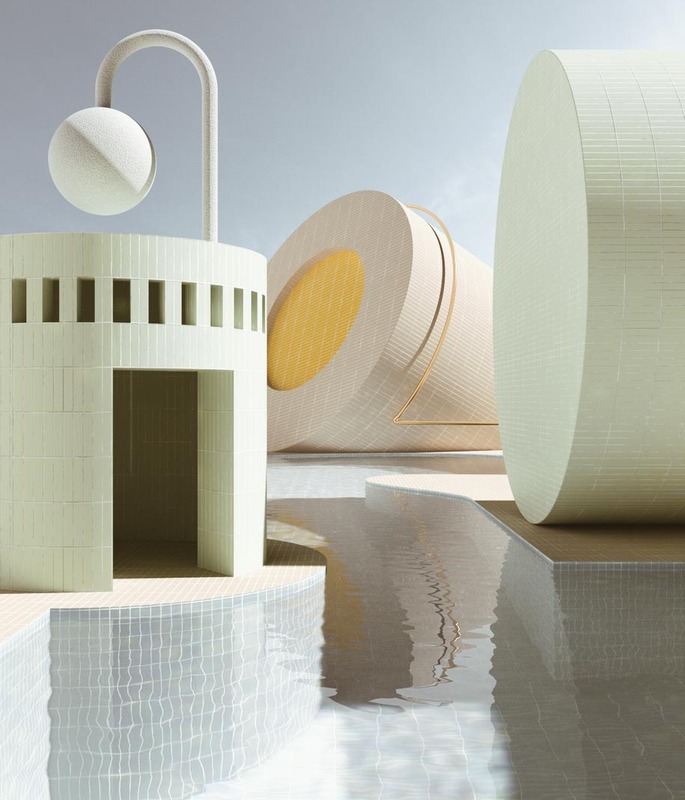 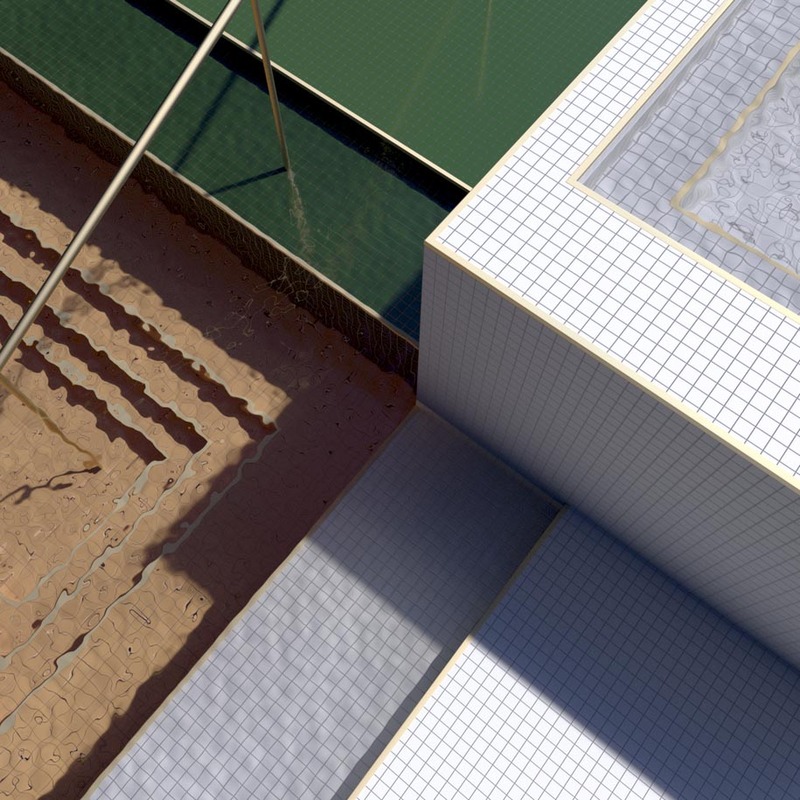 Check out also the project Alternative Perspectives by Cristina Coral!